Throughout my journey to have a baby my husband and I were treated by several fertility specialists. We got second and third opinions and then we found Dr. Elan Simckes and his caring staff at Fertility Partnership. We finally found a doctor who believed in us! He was personable and wasn’t afraid to think outside of the box. 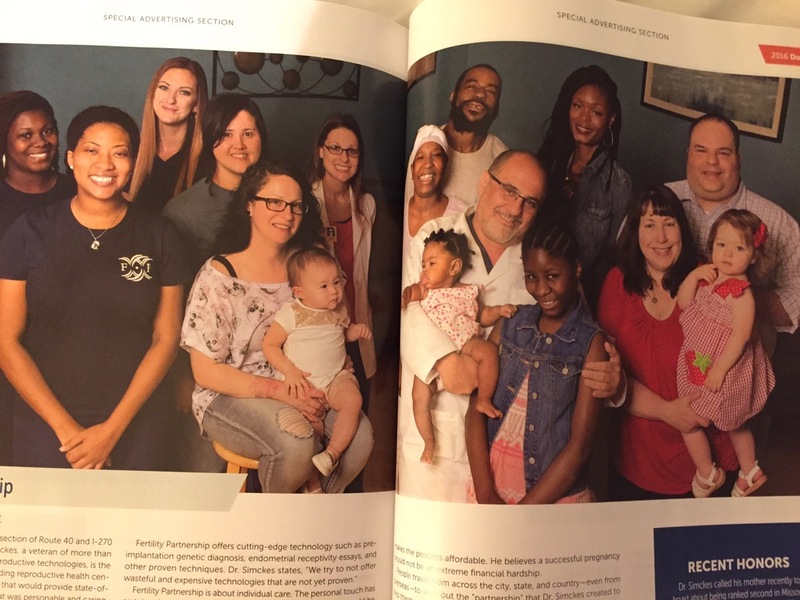 We were excited to hear that Dr. Simckes was named one of the top doctors in St. Louis this year and were honored when he asked us to appear in a photo in the August edition of Saint Louis Magazine. When a reporter heard about my story she interviewed me and the following article appeared on Saint Louis Magazine’s website in August. Dr. Elan Simckes keeps moms-to-be at ease with his colorful personality and lighthearted antics. 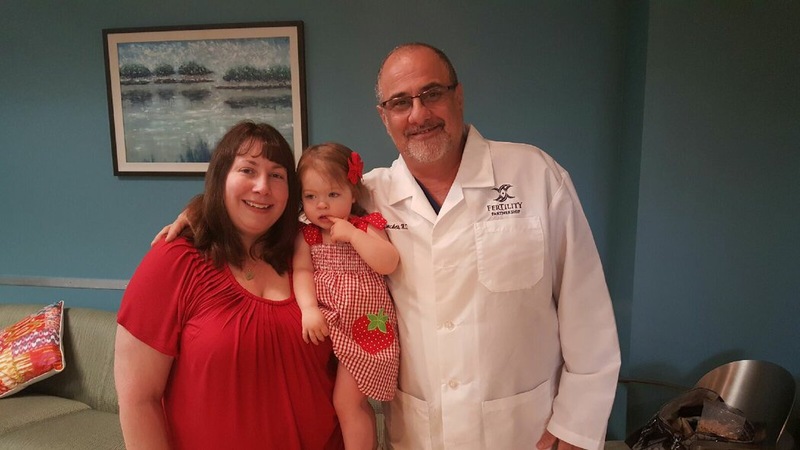 Jennifer Talley and her daughter, Lillian, with Dr. Elan Simckes. Jennifer Talley started her search for a fertility specialist as many do, trying recommendations from her general practitioner. Not feeling she’d found the right specialist, she visited an online support group for women dealing with infertility. She read a recommendation for Fertility Partnership in St. Peters. 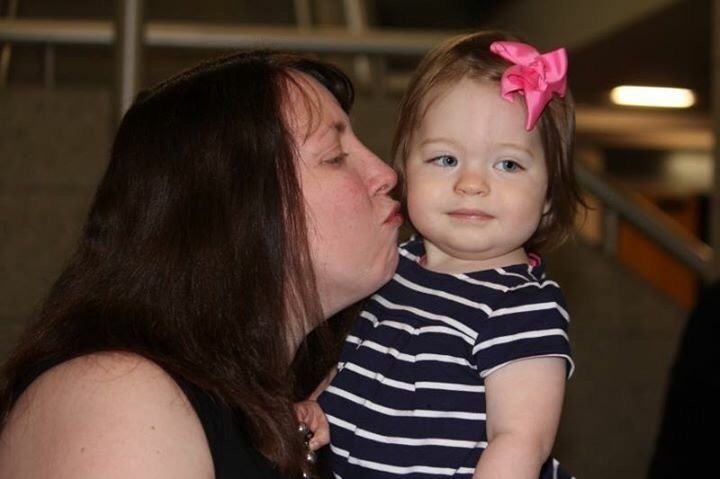 Jennifer Talley and her daughter Lillian. One of the women, who lived in England, would send a knitted teddy bear when a fellow member had a child. 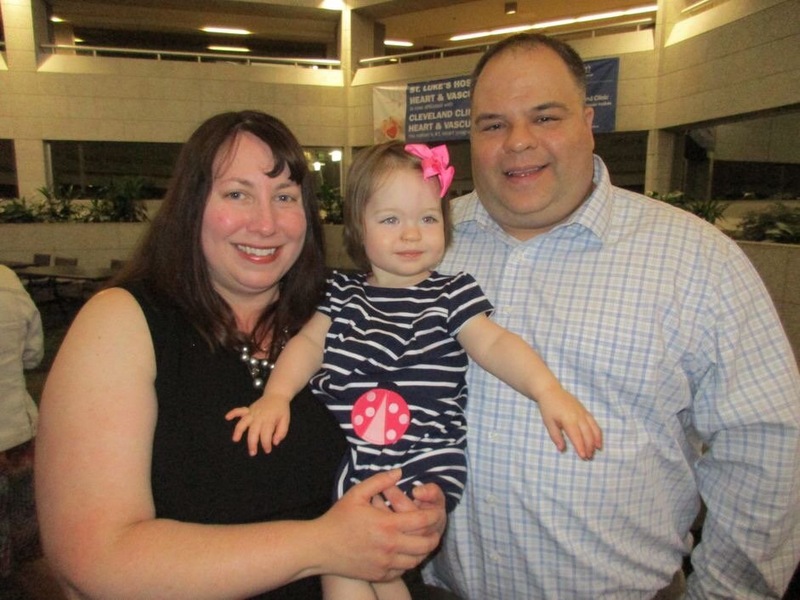 When Talley’s daughter, Lillian, was finally born two years ago, she received a bear. It remains one of the family’s favorite toys.